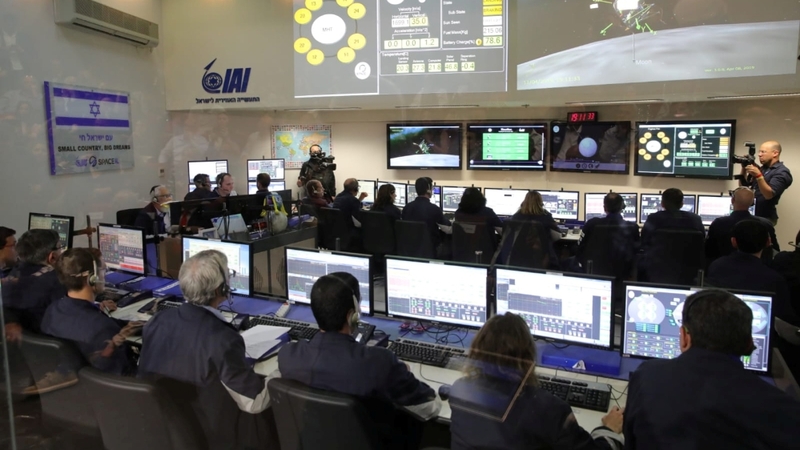 An Israeli spacecraft has crashed into the moon moments before touchdown, failing in an ambitious attempt to make history as the first privately funded lunar landing. Around 20 minutes before the scheduled landing on Thursday, engine firings slowed Beresheet’s descent. Engineers watched in silence as the craft, its movements streamed live on dozens of screens, glided toward a free-fall. He said the spacecraft’s engine turned off shortly before landing, and scientists were still trying to figure out the cause. The spacecraft was in pieces scattered at the landing site, he said. Doron nonetheless called the mission an “amazing success” for reaching the moon and coming so close to landing successfully. The failure was a disappointing ending to a 6.5 million kilometre lunar voyage, almost unprecedented in length, that was designed to conserve fuel and reduce price. The spacecraft hitched a ride on a SpaceX rocket launched from Florida in February. “What makes it hard is the conditions. The geological and atmospheric conditions are different on the moon and the planets than they are on Earth,” said American University professor Howard McCurdy, who has written several books about space. “It makes it really hard to test” the spacecraft’s landing back on Earth, he added.